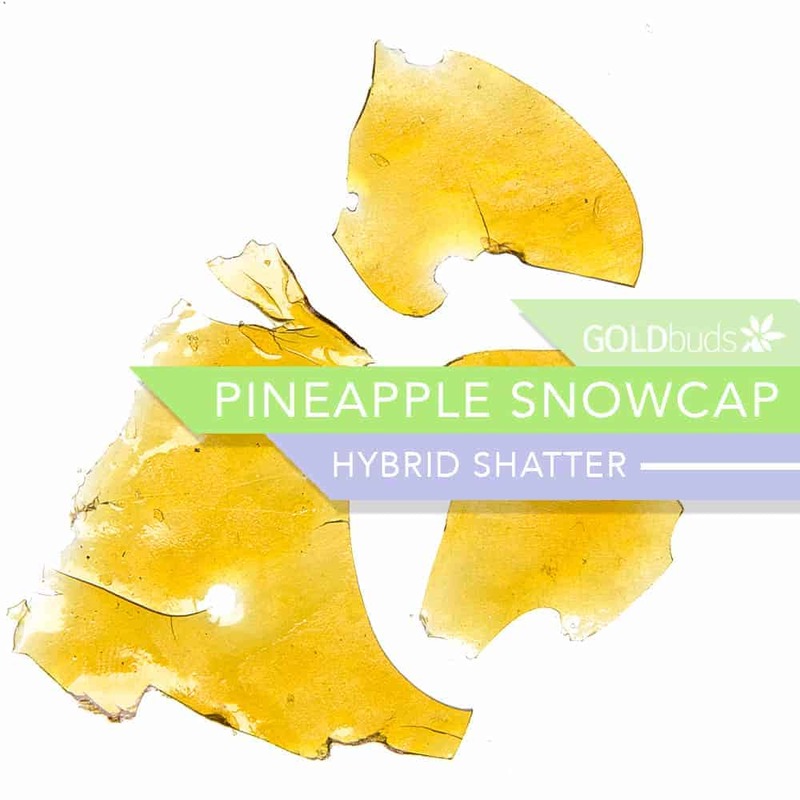 19 reviews for "Goldbuds – Pineapple Snowcap – Hybrid Shatter"
Very good taste and what a great high. I really enjoyed this shatter, amazing taste and high. Sweet, smooth and fruity with just a hint of fresh cut grass on the exhale. The high is a good middle of the road hybrid high with a nice cerebral buzz that fades into a bit of a sleepy/couchy sort of relaxing high. Great all around product. Would recommend it and order it again. Very good product,nice head high, relaxing body stone. Takes a little, 5-10 min to feel the effects(for me anyway) nice taste and sweet smelling. What a nice hybrid shatter. Perfect for anytime of the day. Makes you feel the heavy eye effects without the wanting to sleep 20 min later. It keeps your brain working. The taste is awesome tastes fruity with a hint of citric to it. Love this stain will def buy more for sure. Over all I’ll be trying different strains from the goldbuds house brand but I’ll definetly order this again 100%! Gotta be one of my favourite strains, super tasty and does the job. The taste of this shatter is amazing, so sweet and soothing! I like this one in particular because the buzz adapts to what ever I’m doing. Whether I’m chilling watching tv, playing vids, or out and about getting errands done, this strain is perfect. You cannot beat the price either. Highly recommended. Awesome shatter, I wasnt sure what to expect but for the price you cannot go wrong. Its a great combo of the strains thats hits you with a hard punch but still allows you to function throughout the day! would recommend and I will certainly be buying the house shatter again ! A great choice for a hybrid and fantastic quality for a house shatter! Very impressed. Tropical pineapple flavor. A preferred shatter for beach dabs with your toes in the sand! This stuff is really good and tastes great! Great shatter, better then some named brands. The price for quality is unmatched. Adding this sweet baby to a list of my favourites! I’ve nearly done a review on all shatters from goldbuds. This one has to be my favourite. Went through seven grams in a three day camping trip. Nothing but relaxation with the energy to enjoy exploring. Great brand comparable to phyto extractions love this particular strain is delicious and came packaged with an ice pack to ensure freshness. Nice and smooth and fruity actually tasted like pineapple great job guys.